Hello! I am Soumya from a little paper boat. 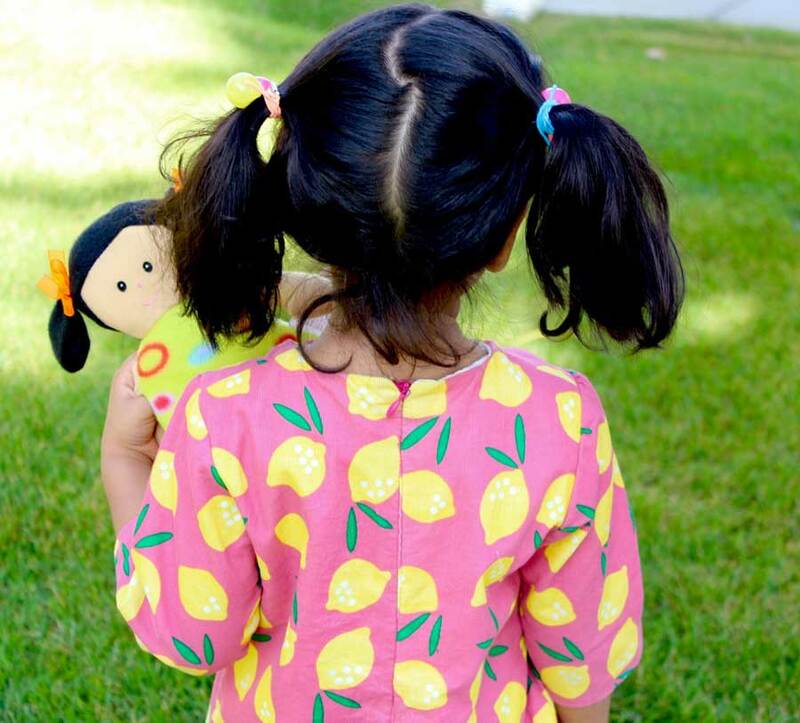 I learnt to sew exactly 6 months ago…from the internet! And now I am participating in my first ever sewing contest! I am so grateful for this opportunity…thank you Marte! 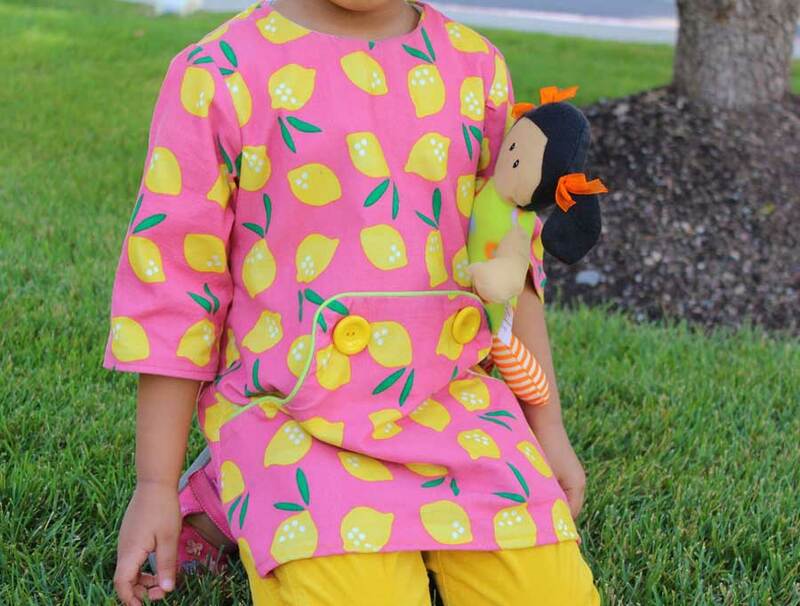 This Louisa is the first ‘dress’ I have made for my little girl. It’s also the first time that I ever worked with a zipper, an invisible one at that! Of course, I am also very happy that I was able to fully line the dress – another first! 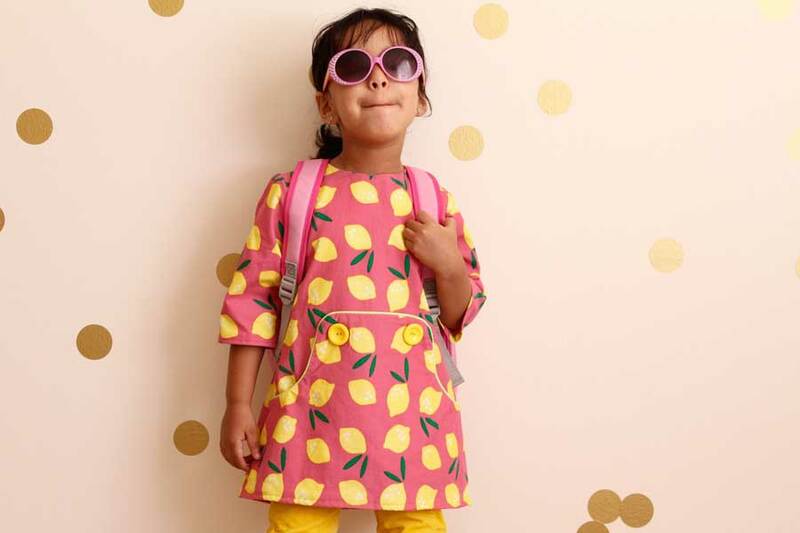 I think the Louisa is ‘the’ perfect pattern for kids – simple, comfortable, playful and cute! So I wanted a fabric that would complement these qualities too! 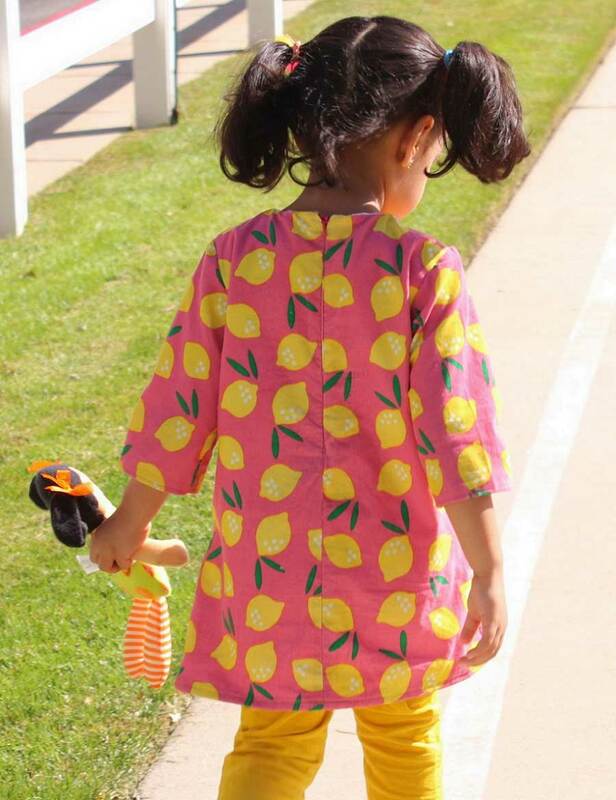 The ‘lemon drop’ print from Rae’s Small World collection was a perfect match! 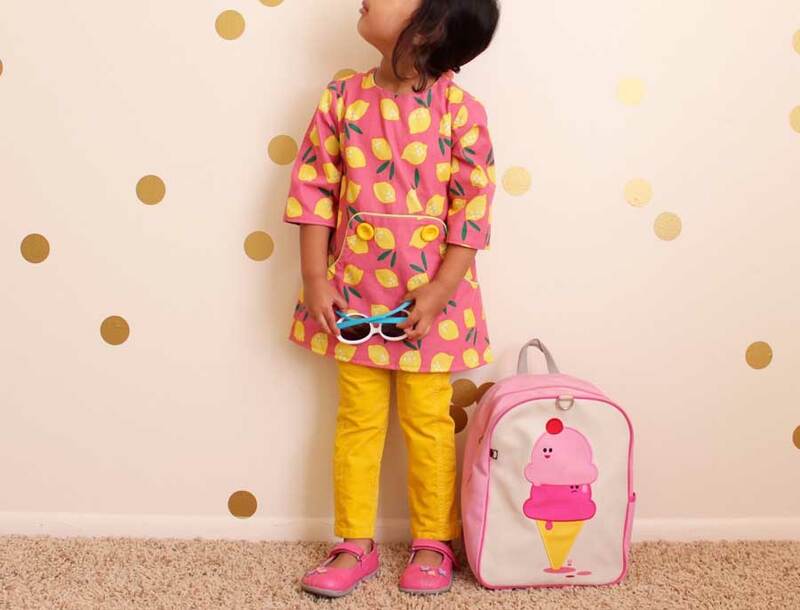 It’s so bright, cheerful and cute – just like my, rather any preschooler! And a Louisa in corduroy would be perfect for fall, which is this time of the year! As my Louisa turned out a little short, I found a nice pair of yellow corduroy pants from Gap to go with it. Happy accident! It now makes such a great outfit! You can read more of my Lemony Louisa story here :) Thank you! It’s absolutely beautiful!! Good Luck! I like the combination with the pants. Louisa is nice as a tunic as wel!! Thank you Eva! Yes, it does make a nice tunic! 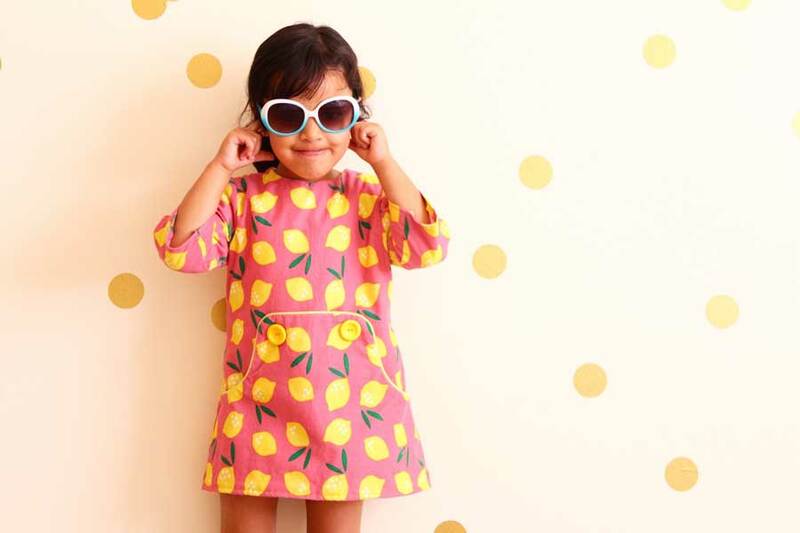 Thank you for giving us beginner seamstresses such beautiful yet simple patterns to sew with Marte! Wow, what an amazing first dress! Very well done! Thank you So much Annika! !